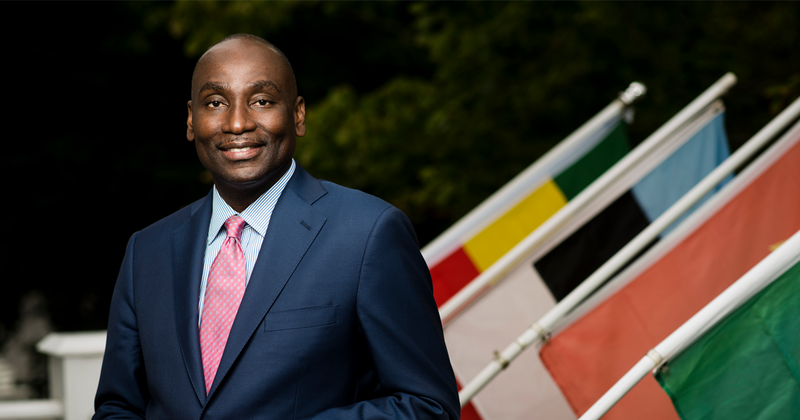 Abi Williams (Fletcher MALD ’86, Ph.D. ’87), Director of the Institute for Global Leadership (IGL) and Professor of International Politics at The Fletcher School, sat down with Fletcher’s Dean James Stavridis to chat about his career and his return to Fletcher. Why he chose Fletcher: “Fletcher taught me to apply rigorous research and analysis in trying to address pressing global issues,” Williams revealed. His four years running The Hague Institute for Global Justice: “I thought it was important for us to be not only a think tank, but a ‘do’ tank,” he said. His role as Director of Tufts’ Institute for Global Leadership (IGL): “I was present at the creation of the Institute for Global Leadership... so in a sense, it’s a homecoming,” he explained.